I recently spent two lovely days in Asheville, North Carolina and stayed at the Sweet Biscuit Inn. Christian and Claudia Hickl own this comfortable seven-bedroom Bed and Breakfast Inn with a Carriage House in the quiet wooded neighborhood of Kenilworth. I stayed in the quaint Carriage House, which is comfortable and pet-friendly. The Carriage House is fully equipped with a kitchen, living room, two bedrooms and a renovated bathroom. The bed was extremely comfortable allowing for a pleasant night’s sleep. I enjoyed staying in the Carriage House, which was tucked away in the woods. Upon my arrival, Christian greeted me with a big smile. He showed me to the carriage house and gladly offered a crate for my puppy, Cheerwine. After I unloaded my bags, I followed Christian to the main house. The aroma of butter and chocolate filled the cozy house, I knew I was in for a treat. Christian’s wife, Claudia was busy in the kitchen preparing snacks. 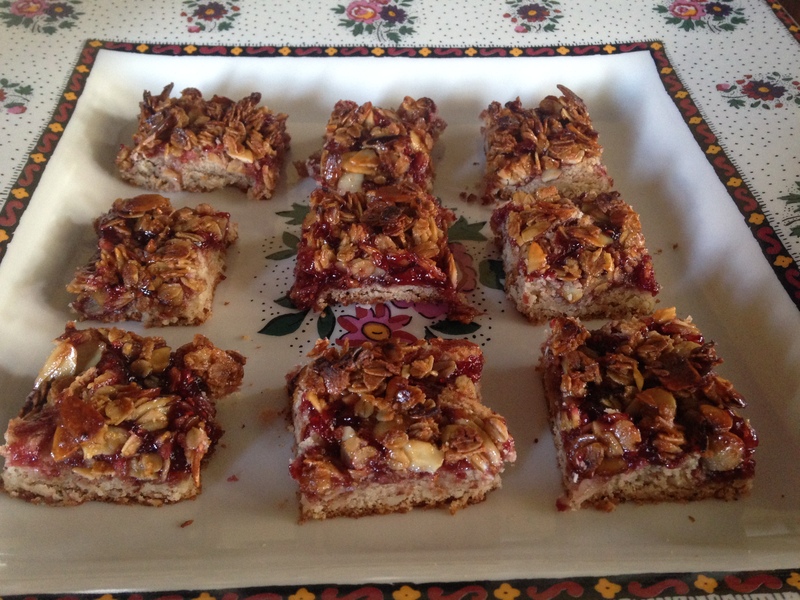 Christian joined me at the dining room table with two cups of espresso and linzer tortes. I looked out the window as snow began to fall softly to the ground, there was something magical about Sweet Biscuit Inn. 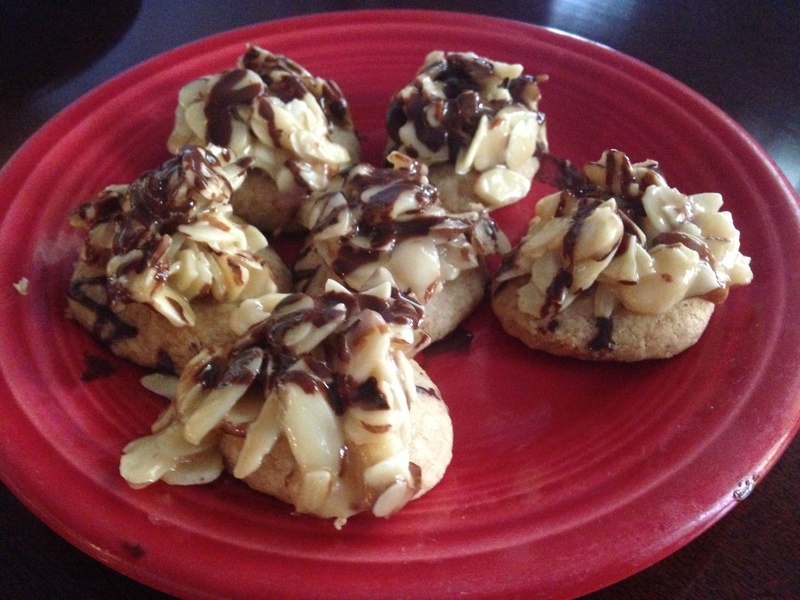 Claudia soon emerged from the kitchen with more goodies, delicious shortbread cookies topped with chopped nuts and chocolate. 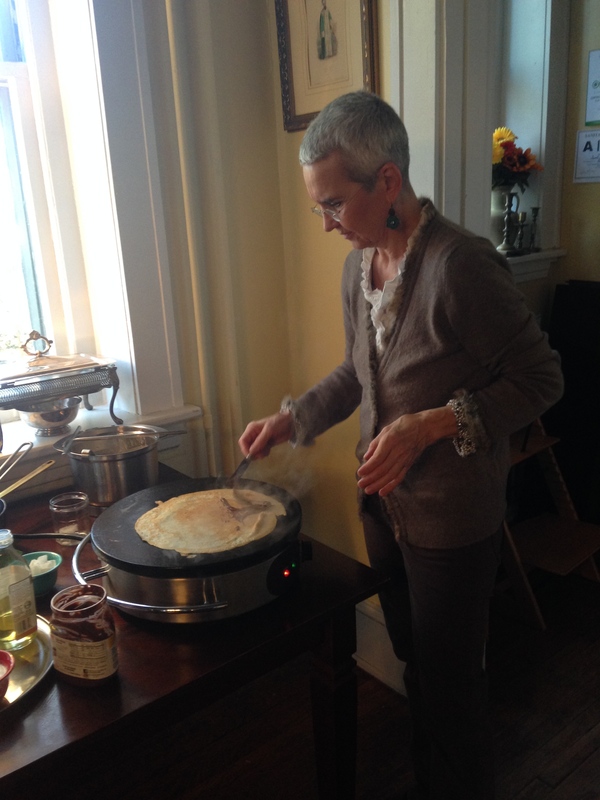 We snacked as Claudia and Christian told me about their previous Bed and Breakfast in Provence, France. The couple is well traveled and I enjoyed listening to their stories about life in Europe. I really threw the couple for a curve ball when I asked how they met in Germany. To my surprise, the couple met at a ball in Germany, a great love story! After a full day of exploring Asheville and a good night’s sleep, I spent my last morning with Christian and Claudia. I joined Christian in the candlelit dining room for my most memorable experience at Sweet Biscuit Inn. Claudia is a passionate cook. She enjoys being creative in the kitchen and using quality ingredients to prepare dishes for her guests at Sweet Biscuit Inn. 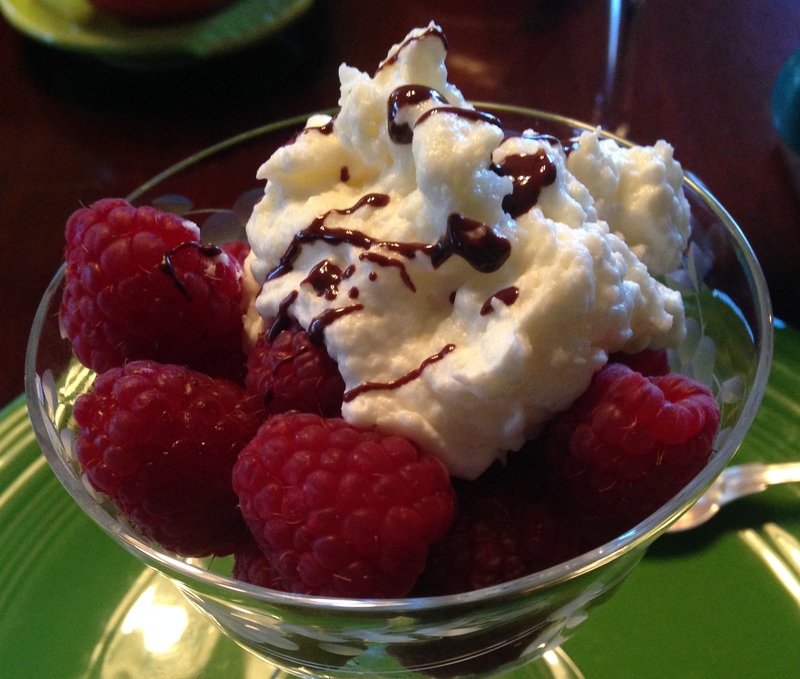 Breakfast began with fresh raspberries topped with Claudia’s white chocolate mousse. 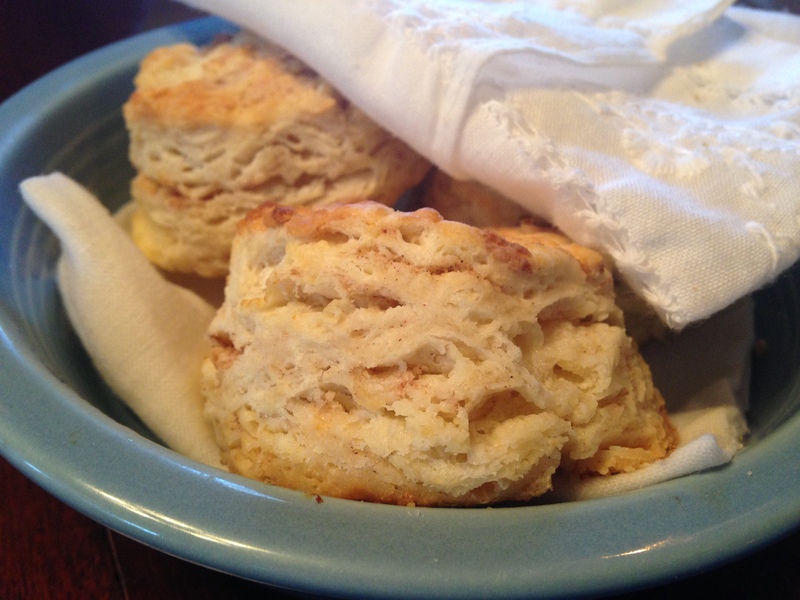 With a name like Sweet Biscuit Inn, breakfast wouldn’t be complete without scratch made biscuits. The fluffy biscuits with a hint of cinnamon were perfect on such a cold day. 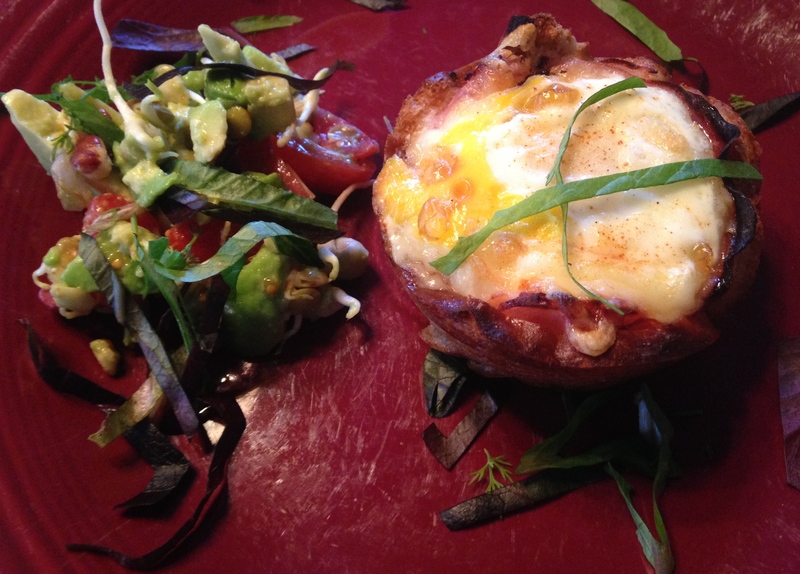 The next course was an egg and bacon basket with a delicious, flaky crust. The creamy avocado and tomato salad was a nice addition to the savory dish. 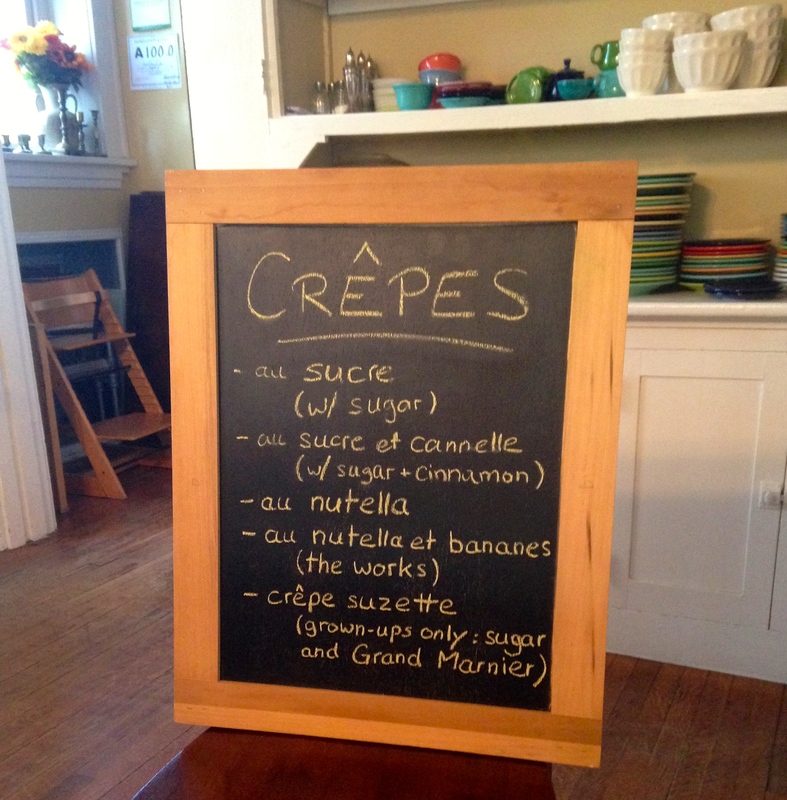 Christian suddenly left the table and propped up a black chalkboard of daily crêpes. What a surprise! The couple was definitely bringing a taste of Europe to Asheville. 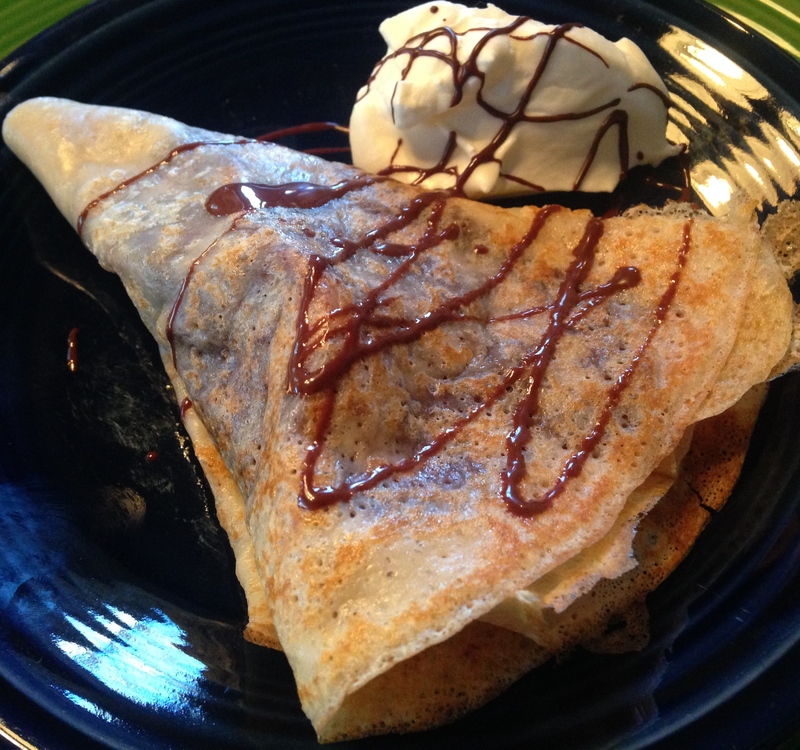 I couldn’t make up my mind so Christian insisted I try two different styles of crêpes. Claudia prepared one of my favorites, nutella and banana, which I first tried during my trip to Paris over two years ago. We shared travel stories, laughter and delicious food. Not only was the food outstanding at Sweet Biscuit Inn, but the company of Christian and Claudia made my experience at this cozy Bed and Breakfast memorable. The magic of Sweet Biscuit Inn is definitely the passionate couple who is dedicated to making you feel right at home. My favorite place to stay in Asheville!!! I’m dreaming about the biscuits now. What a lovely read! Claudia and Christian are good friends of mine. I wasn’t able yet to visit them at the Sweet Biscuit Inn, but I know it must even top the delightful B&B they had in the Provence. And yes, Claudia’s cooking is awesome!